Get baking and making, for an easy way to turn your talents into funds for your cause. Did you know? Britain is in the grip of a craft craze, with TV reality shows from Bake Off to The Great British Sewing Bee making us all want to exercise our creative flair. Whether it’s gardening, homemade Christmas gifts, or nurturing our inner chef, the current fascination with all things handmade is an opportunity volunteer fundraisers can’t afford to miss. 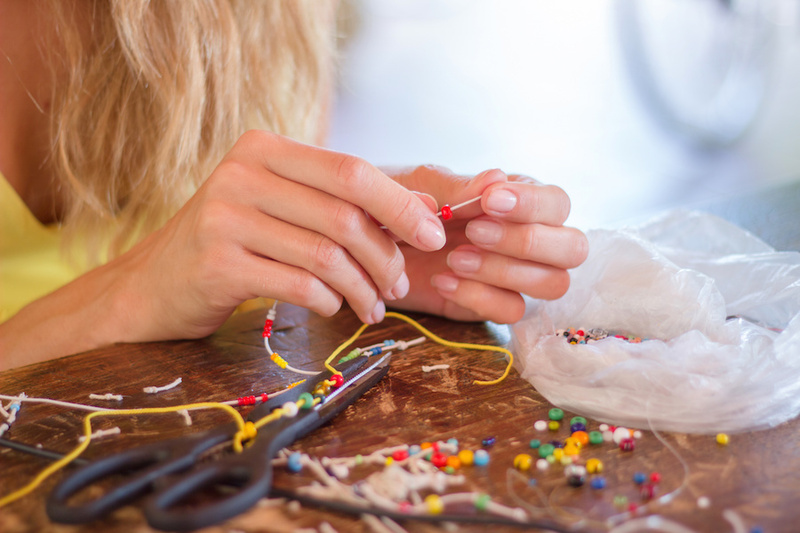 Even if you’re not creative yourself, you’ll definitely have some budding crafters in your organisation who’ll love to get their teeth – or their needles – into these crafty ideas. So stop watching TV, and start raising money! And don’t forget to read our must-do’s at the end of this article to guarantee a successful sale. Customised or printed clothing – t-shirts, hoodies etc. Digital products, eg. music, templates for cards and invitations, etc. Items for schools – mugs, calendars, mouse mats and photo snow globes make fabulously affordable gifts for children to give to family members, and they have fun creating them too. Budget: cost out your project meticulously. If it’s cushions you’re making, what’s the cost of material, filler, thread and zips? Make sure your selling price will cover that, with enough left over for a good donation. Be time-efficient: create items that will sell, and that aren’t too time-consuming or costly to make. Some of the best ideas are the simplest, and remember – less expensive things may sell more volume – and make more profits – than high value items. Make plenty! You’ll need at least enough to fill a stall, and possibly some back ups to restock when you’ve sold out. You’ll never achieve tall targets with just one cushion, so get all hands on sewing machines to make sure you can satisfy demand. Choose a sales pitch with high traffic: you could set up stall at a local market, in the reception or canteen of your workplace, or the bar of your sports club. You could even ask for a pop-up in a local store, or host your own sale at a church or school event. Tell people! Set up a mailing list of your contacts to publicise the sale, and even take email orders. Telling people why you’re doing this, and what a difference it will make to your cause is a powerful way to get them on board and make them want to buy. Make it easy, and compelling for them to make a purchase, and you’re half way there. Remember, if you buy any supplies you need through easyfundraising, you’ll get free donations to boost whatever you raise through sales. Evaluate: it’s tempting to head straight to the celebration after a great event, but always pause to make a note of what worked well, and what you’d change for next time. Was it the right product? Did the kids’ creations sell better than the adults’? Was the location and timing right? Could you make more sales at a Christmas sale, when people are ready to buy? Make sure you’re complying with any legal requirements. See if you need to register with HMRC for tax purposes here, and check if your product needs to comply with any regulations here. What next? Share this post with everyone you know who’s involved in fundraising; ask them for their ideas too. Ready, steady, make!